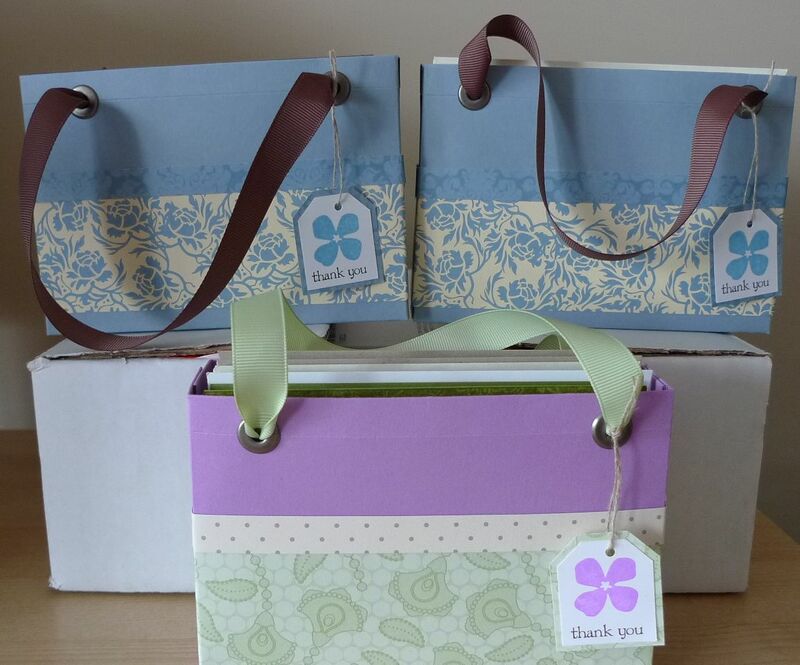 Karina's Kreations: Teacher Thank You Gifts! These are fun little bags to make. I made them for teacher thank you gifts and filled them with four cards. A big thank you to my friend & downline Kelly for the idea and the template. 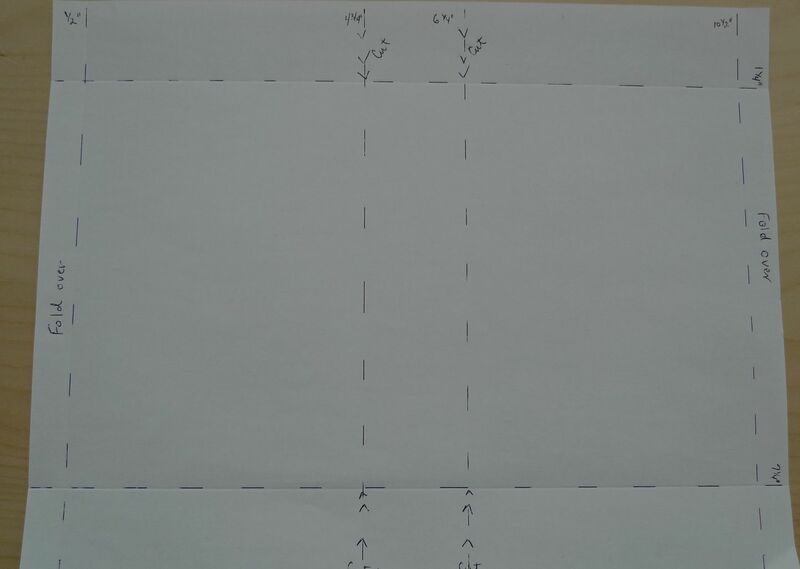 Here's the measurments for the box. Take a piece of 8-1/2" x 11" piece of card stock. Score the 11" side at 1/2", 4-3/4", 6-1/4", 10-1/2". Score the 8-1/2" side at 1-1/4" and 7-1/4". On the 11" side, cut at 4-3/4" and 6-1/4" to the score line . Repeat on the other side. 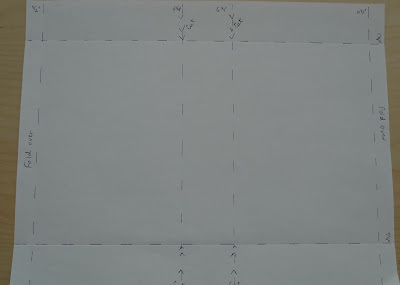 Fold over the 1/2" and 10-1/2" side and secure with sticky tape to give the box extra strength.